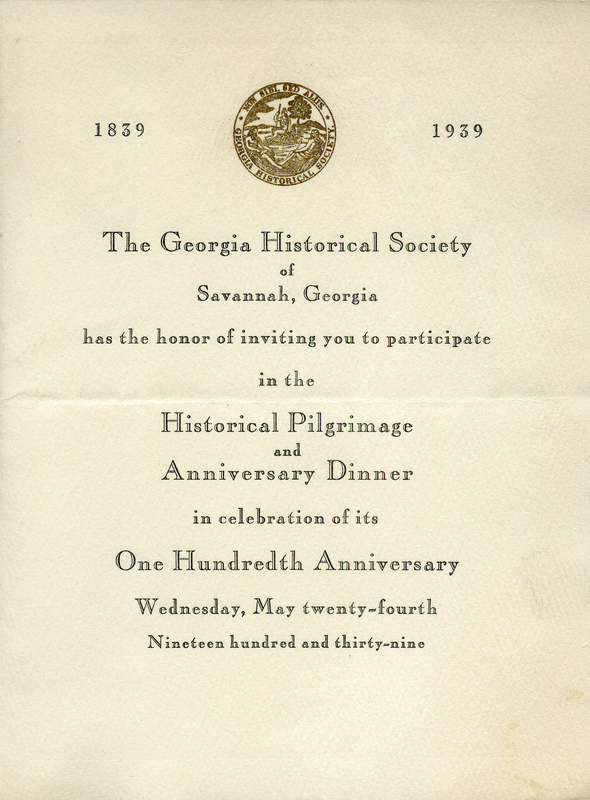 The Georgia Historical Society of Savannah, Georgia, “To Martha Berry From The Georgia Historical Society of Savannah, Georgia.” Martha Berry Digital Archive. Eds. Schlitz, Stephanie A., Savannah Harris, Jessica Hornbuckle, et al. Mount Berry: Berry College, 2016. accessed April 22, 2019, https://mbda.berry.edu/items/show/14936.